I’ve been away to the beach this past week. 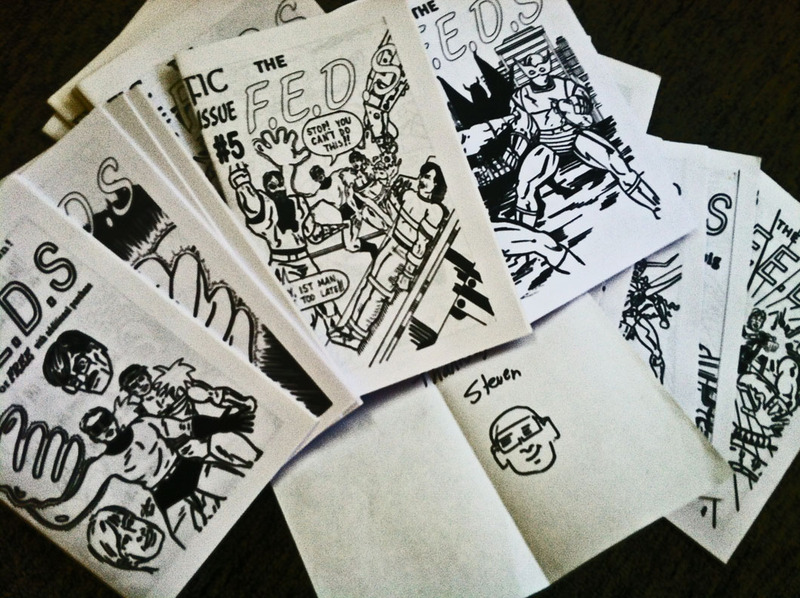 Just before I left I got a nice bundle of comix from Steven Myers, now I’ve got a complete run of his title theF.E.D.S. 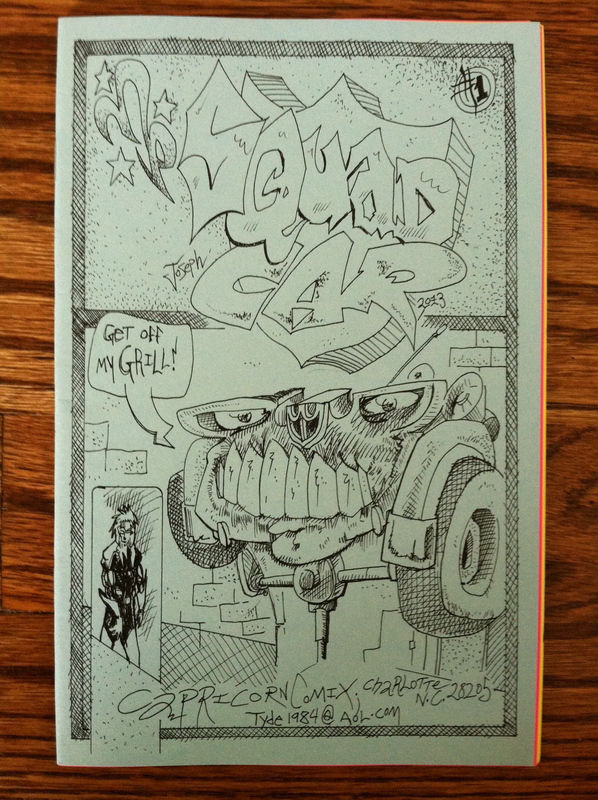 Steven is going to be contributing to the next installment of the SquadCar anthology I started a few years ago. I’ve also managed to get Jason Young on board taking the reigns on the title feature, SquadCar. 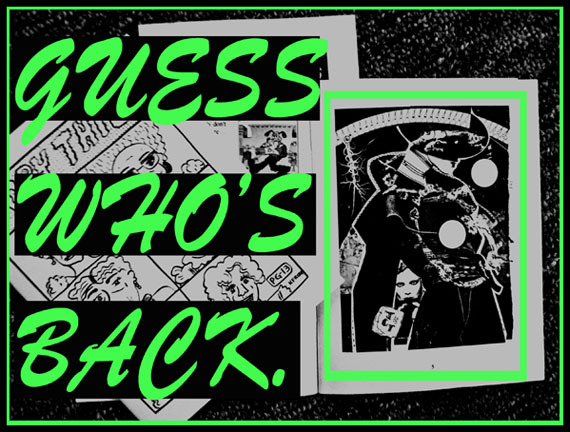 I think both of these guys have impeccable comix aptitude and couldn’t be happier to be collaborating with them. It was hard to be out of touch while I was away. I was all but ready to collapse after unloading the car when I heard a definitive ‘clunk’ in the mailbox. 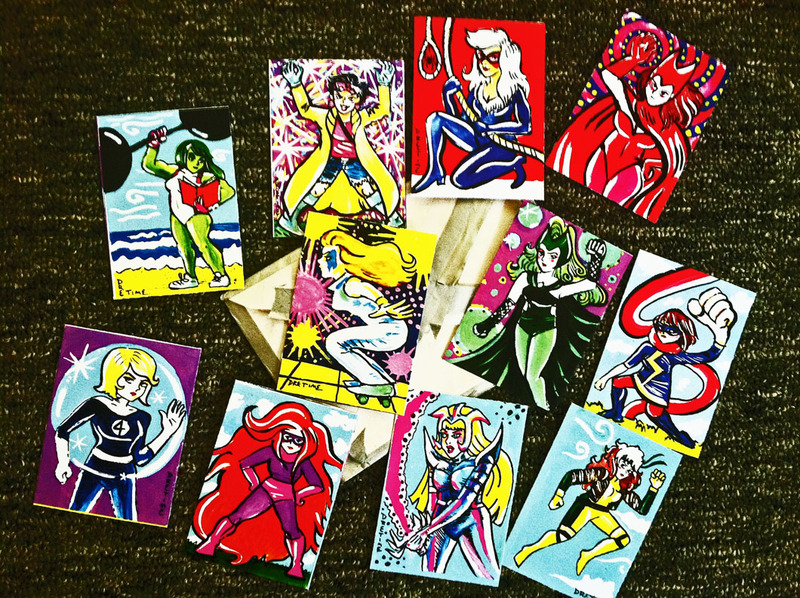 To my delight Dre Grigoropol has sent me a set of her own illustrated Marvel cards! I met Dre at the S.P.A.C.E. after party and we hit it off well, we meet up again during the expo the next day and exchanged work. I was blown away by her color work and story telling. 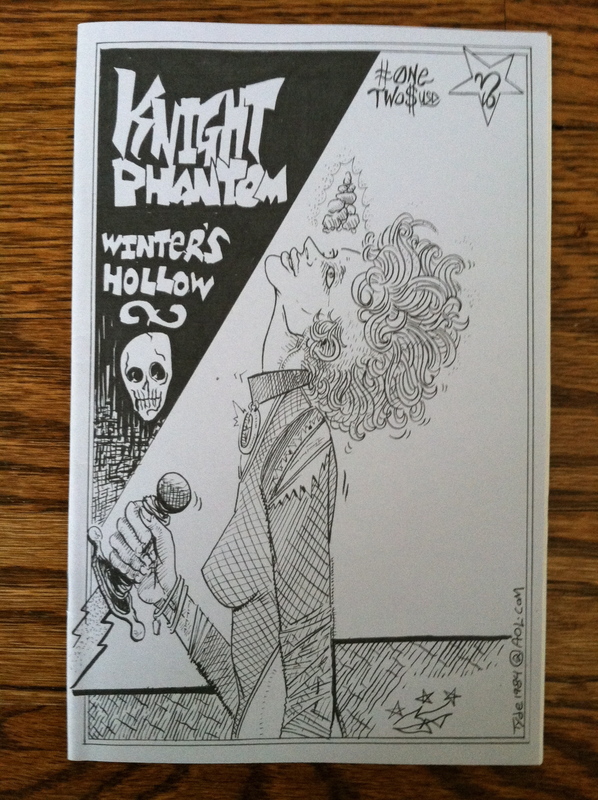 We’re trying to figure out how we can collaborate on the next issue of KnightPhantom. You know what else was in the mail? CopyThis! 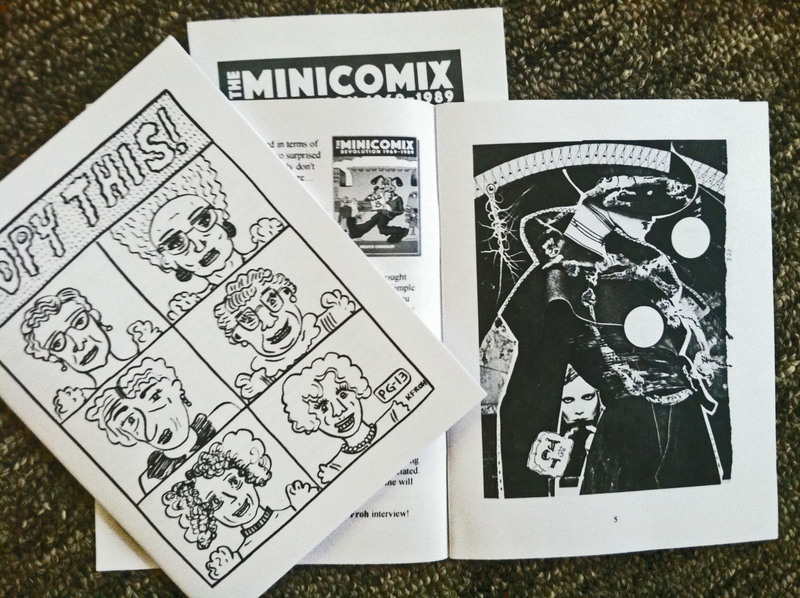 #18, along with my contributor copy! I recently shared a mixed media piece that I’ve made with Blake. We’re both members of an elite group of Loons and I thought he would get a kick out if seeing it before I shared it with the others. I was totally surprised when he asked me a few days later if he could run in it in CopyThis! And even more so to see it in print so soon. It makes me feel like a million bucks. Thank you Blake. I’ve got a few more thing to share before I close this dialogue. While I was in Myrtle Beach with my family I was able to meet up with Phil Fox the writer and artist behind Gratisphere, a comic adaptation of a sci-fi burlesque show of the same name. Phil is an incredibly inspiring dynamo. He has already put on TWO Gratisphere burlesques and is currently staging his new original play, Even Tide. It premiers this november. I’ll defiantly have more to say about Phil and Gratisphere in the weeks to come. Lastly, those of you who are local to me, please come out to this weekend to SEEDs, I’m participating in a small segment (SMILE) of the play An Adult Evening Of Shel Silverstein. Contact me for more details if you are interested.